Over the last decade research exploring green infrastructure planning has burgeoned. Transferable green infrastructure messages between locations though are less well established and there remains a visible gap between the conceptual understanding of green infrastructure and its application in practice. Drawing together evaluations of green infrastructure policy-making and practice from across the world Global Green Infrastructure illustrates where successful practices can be identified. Examples from major green infrastructure development areas in the UK, Europe and the USA highlight the variety of investment options that can deliver socio-economic benefits. There is also a growing awareness of the added value of landscape planning in the rapidly developing cities of India and China. Reflecting on ten international case studies Global Green Infrastructure highlights the ways that ecology and engineered solutions can deliver successful urban development. Based on in situ research with the growing community of green infrastructure researchers and practitioners Global Green Infrastructure looks at the contradictions, consensus, and expanding evidence base of successful investments. 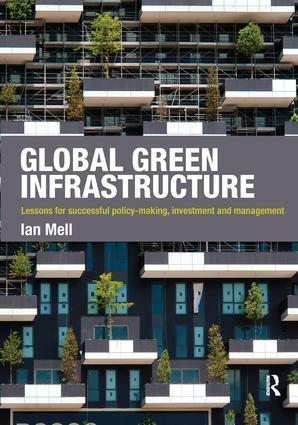 This book also presents an in-depth commentary on the contemporary approaches to investment in urban greening and green infrastructure, and draws on the lessons we have learnt from a decade of experimentation, delivery and reflection.